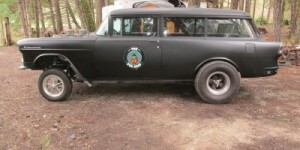 1955 Chevrolet Wagon Gasser in Myrtle Creek, Or. New old-time Gasser, 427 ci, dual 's, tunnel ram, Beefed Turbo 400, 3500 stall, new interior roll bar, Ford 9', posi, 15 gal fuel cell. All wrapped in Black Satin paint. Sounds nasty ! 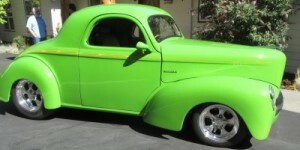 1941 Willys 441, Sassy Grass Green with flames. 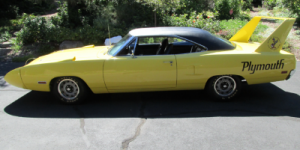 Mopar 360 ci V-8, Dual 4 bbl.carbs, Mopar 904 3 speed transmission, power rack & pinion and independent front suspension, Vintage Air, luxury interior and multi-speaker stereo system. Not sure you can hear any tunes when this thing is running! 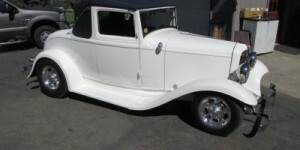 1932 Ford Sports Coupe located in Medford, Oregon. Older restoration but in very good condition. A Buick 290 ci aluminum V-8, 700R4 trans, TCI chassis, rack & pinon, and Vintage Air makes this car a pleasure to cruise in.